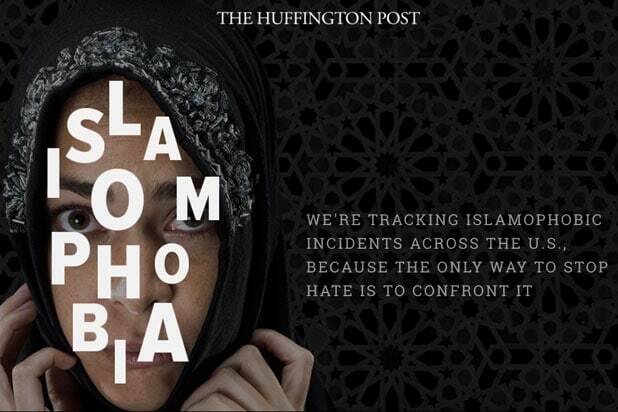 The Huffington Post has launched a section of its website dedicated to tracking acts of Islamophobia, the news outlet announced on Thursday. That number isn’t the only content on the site’s Islamophobia vertical, which also uses an elegant interface to explore each act in greater detail. Examples featured include anti-Islamic legislation and campaign rhetoric alongside mosque vandalizations and hate crimes committed against Muslims. The section also includes a link at which users can report anti-Muslim acts to Abdelaziz or HuffPo national reporter Christopher Mathias.